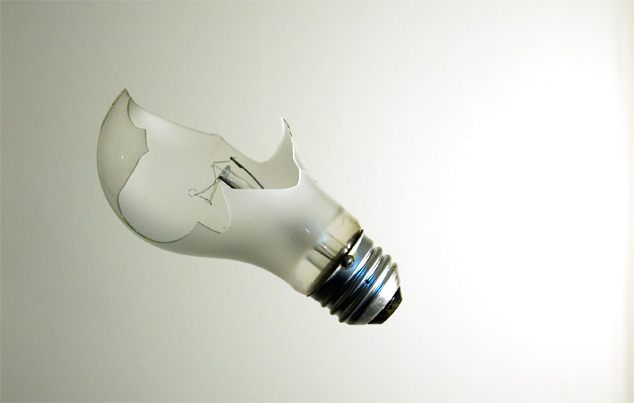 The hippies outlawed incandescent bulbs in Vancouver, and this was our last one. It is useless to explain how the light is different and has it's own beauty. Makes me start sounding like a hippy myself. So I was saving this one in our junk drawer... and then the drawer didn't want to shut... I forced it and broke the bulb. But it broke nicely. I hung with dental floss... from the ceiling. I'm going to keep it there for a while. Thank you for visiting. I live in Vancouver now, but I've lived in other places too. I take photos and make short films about things and people. Please comment and be argumentative. It amuses me.